With many common house pests invading our homes, there are a few like Ants, Moths and Beetles that cause damage and distress. Twilight Pest Control are you local professional pest control company that can treat these pests in a quick and effective manner. Twilight Pest Control are experts in preventing and controlling nuisance pests that enter homes and businesses every day. Whatever pest problem you have, contact Twilight Pest Control for help. There are many pests that invade our homes but the most common we deal with are Ants, Moths and Beetles. Although these pests and consider nuisance pests and cause little harm to us, when in our homes large numbers can cause untold damage and distress. There are two main types of ant pest species in the Derbyshire and Staffordshire areas - the garden ant (also known as the Black Ant), and the Pharaoh’s Ant. Both are renowned for being a nuisance pest species, they can infest and potentially contaminate food and food related products in your home. 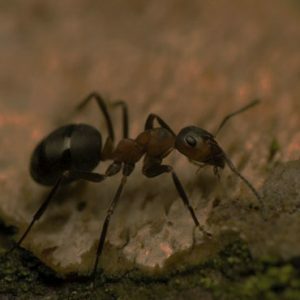 We at Twilight Pest Control offer two forms of Ant control treatments depending on the species and environment. There are many types of moth in the UK, but only certain ones enter our homes and businesses and cause damage to property such as carpets, textiles, etc.... and stored foodstuffs within the home. Twilight Pest Control can help gain control of your moth infestation. This is done by treating the adult insects and finding and treating the larvae. We may also use specialist pheromone traps to prevent and monitor current and new infestations. Mainly active at during the night, Bed bugs hide in cracks and gaps around the bed, mattress and furniture, coming out at night to feed on humans. For most, Bed bug bites will cause red, irritating bite marks, or for some even severe skin reactions. If left untreated they can affect your health and wellbeing, and dramatically disturb sleep. There are many different types of pest beetle that could be in your home or business. These include; Carpet Beetles and Woolly Bears, Biscuit Beetles, Furniture Beetles (Woodworm), Tobacco/Cigarette Beetles, Ground Beetles, and many more… Many of these pest beetles can be difficult to get rid of, so if you do have a pest beetle problem then we could advise contacting a fully qualified pest control technician such as Cliff at Twilight Pest Control. Twilight Pest Control a well established pest control company with fully qualified technicians and experience in all form of pest control. If you’re not sure what pest you have then don’t worry – we offer a free pest ID service and can also provide an onsite survey so we can advise you on your pest and the right treatment method for you. If you’re suffering with any pest in your home such as Ants, Moths or Beetles, then please contact Twilight Pest Control to solve your pest problem.